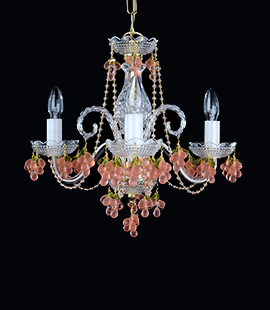 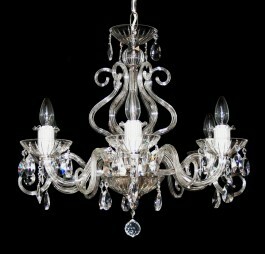 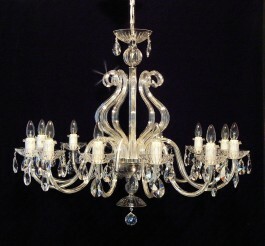 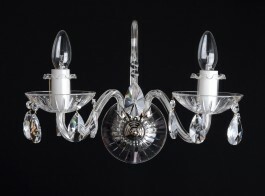 The crystal chandelier with 10+5 glass arms and silver metal finish. 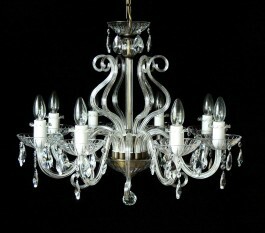 The design glass crystal chandelier with 10+5 profiled glass arms in two tiers. 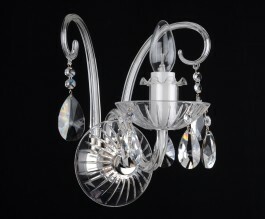 Dimensions (W x H): 82 x 72 cm/ 33.5"x29.4"